Monticello Church was organized as part of the Methodist Episcopal Church about 1800. The first church was of logs and built on a 14-acre tract of land given by Captain Phillip Pearson. The second church was a frame building that was replaced by the present structure just prior to the Civil War in 1861 and affiliated with the Methodist Episcopal Church (South). Thankfully when Sherman’s Army came through Monticello and burned and looted many of the nearby plantations and homes, the church was not harmed. The lovely Greek Revival church building sits in an idyllic setting beside the lake, and is distinctive for its four large columns across the front portico with three front double doors topped by gothic arch stained glass windows. Both sides of the building are adorned with six tall windows and green shutters. Inside there is a gallery on three sides surrounded by a carved wooden balustrade which was at one time used by the slaves who attended the services. The gallery had an outside back entrance which no longer exists. The walls are plastered and painted white, and the floors and original pews are constructed of wide heart pine boards. Two granite columns and wings were erected at the entrance to the driveway in 1933. 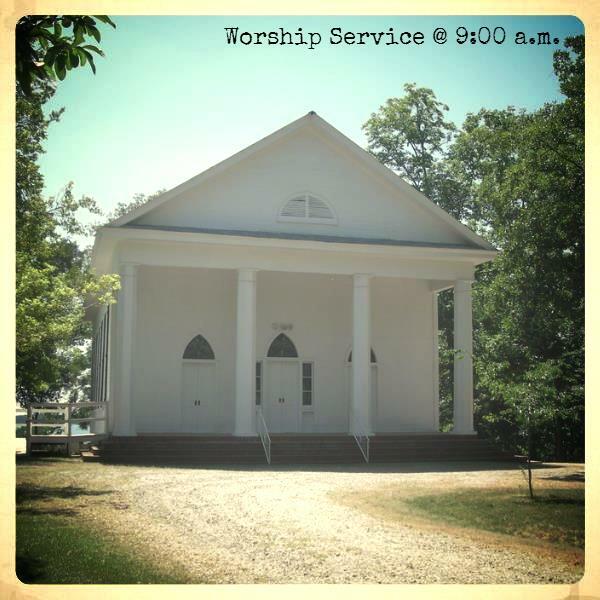 In the 1980’s a fourth church on the charge, Shiloh, in Jenkinsville joined the Monticello Church for Sunday services, meeting at Monticello in the summer and Shiloh in the winter. In 1991 the Shiloh church closed.